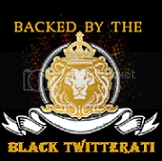 Black Twitterati: Social Media @ Work: Crisis in HaitiBlack Twitterati- Celebrating the Black Twitterati... one tweet at a time. Who's worth following, who isn't. Excellent post. If anyone ever had any doubts about the power of personal media as a legitimate informational source, doubt no more. Social media is working to connect families and loved ones where the current infrastructure is simply unable given the magnitude of this natural disaster. Thanks, Iceman! Glad to see you come thru. 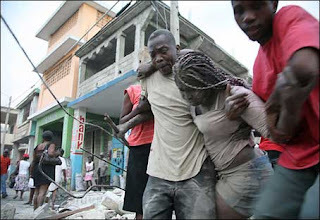 I HOPE THAT HAITI GETS PUT BAK IN ITS PLACE AND GET FIXED UP BECUZ DURING THE ICESTORM ON JANUARY 20,2010 3 TREES FELL INFRONT OF MY HOUSE HIT MY CAR AND ALMOST NEARLI HIT MY PORCH AND KNOCK IT OFF SAD SAD?>!>? Wyclef is a thief, and he generated a big HOAX and financial FRAUD....and before Jan 2010 he was broke...(merci tout le monde) Thanks world! SEE THE EVIDENCE, he pays HIMSELF for charity events..OH YEAH!!!! Im sure Wyclef has the best interest of Haitian People.